The Balcony Bar at the Kimmel Center. 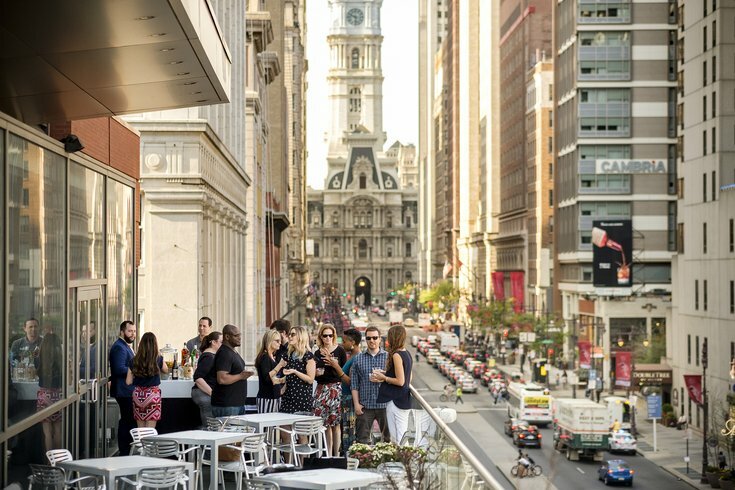 For the second summer, the Kimmel Center will open a bar on its second-tier outdoor balcony, which overlooks Broad Street and offers a view of City Hall. Balcony Bar will be open on Wednesdays from 5 p.m. to 9p.m., and will have Center City Sips specials until 7 p.m. In addition to beer, wine and cocktails, there will be bites like whipped feta, guacamole, spiced cocktail nuts and smoked eggplant hummus. Admission to the Balcony Bar is free. Pay-as-you-go for all food and drink.